Barry Flaherty has worn many hats on his route to his current incarnation as a digital media expert. These include being an International Business Development Director, and a technology early adopter for over 15 years, driving global innovative solutions in marketing, digital media, and mobile technology. 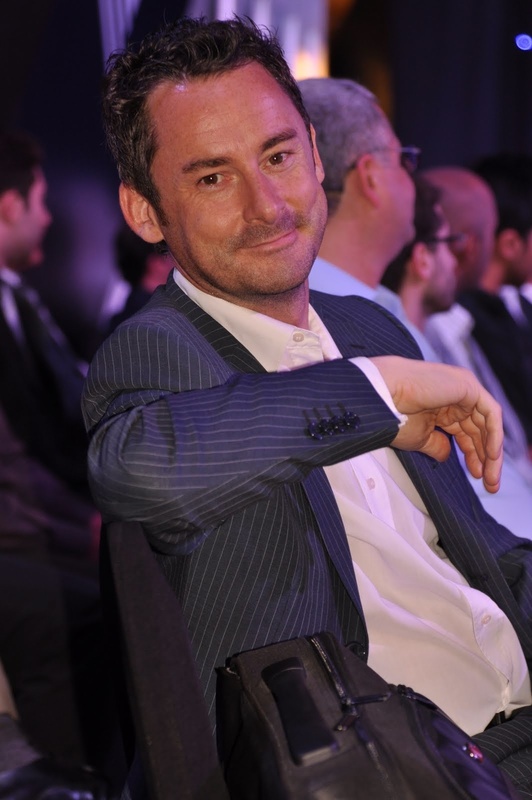 His client experience has covered Vodafone, Cisco, Intel, Microsoft, Nike, and the Qatar Foundation to name but a few. An avid blogger and trend spotter, Barry is currently engaged on projects with a variety of clients ranging from start-ups, fast growing organisations, corporates, broadcasters and digital media agencies in the UK, Europe and the Middle East. Added to this, he sits on the Advisory Boards of several high profile digital media networks. 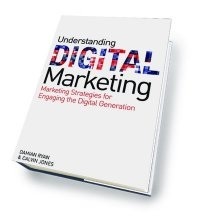 Currently working with Mediaventura in London on M&A advisory work and fund raising for fast growing digital businesses, Barry is also crowd sourcing digital case studies for inclusion in a new version of ‘Understanding Digital Marketing’. 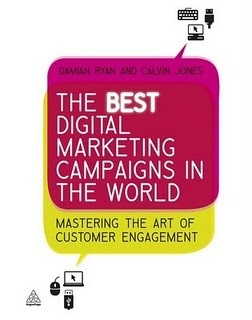 This follows hot on the heels of the recently launched, ‘The Best Digital Marketing Campaigns in the World‘ published by Kogan Page. Barry, you’ve been searching for, and driving forward Innovation for many years. How do you define Innovation? Innovation to me is like a Rubix Cube. Multi-faceted, full of different colours and almost impossible to crack UNLESS you happen to be very good; be that as an individual or an organisation. I suppose a good place to start is understanding the essence and meaning of Innovation. Do you think entrepreneurs are born or ‘made’? Good question. Depends what life throws at you. There’s probably ten or twenty different ways in which entrepreneurs are created. Many entrepreneurs are born out of many years of relentless effort – pushing themselves, and those around them, to the limit – and of course, having many failed business ventures before they finally become successful. Many of today’s so called Entrepreneurs have had a helping hand in life. Sometimes this comes from billionaire families or trust funds, which have allowed many to start with the necessary ‘oxygen’ and capital to make turning their ideas into reality that much easier. Stelios Haji-Ioannou from Easyjet is an example of this. 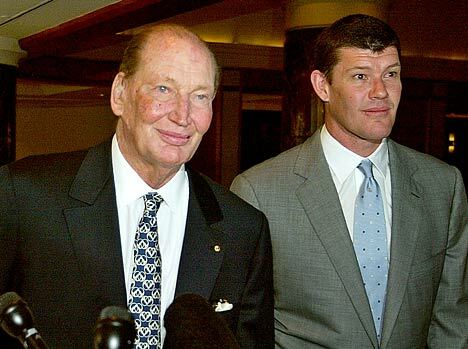 Kerry Packer, the Australian media mogul, created an opening for his son James to flourish and take over the reins of their Empire. We need entrepreneurs in society. They provide inspiration. They provide case studies for the plethora of Business Schools and MBA courses, and keep income rolling into the country. Innovation fosters dreams. The end product is a conveyor belt of ‘leaders of tomorrow’ entering the workplace armed with MBA’s and case studies in their heads from some of the world’s greatest innovators and entrepreneurs. Speaking of a helping hand, you are about to become a father for the first time. What do you want to pass on to your child? Common sense. This is where someone like Paul McCartney is a good example. He’s got hundreds of millions in the bank from years of royalties, and he still sent his kids to a normal school. Its about arming your kids for life. Do you see a difference between ‘little i’ and ‘Capital I’ Innovation? Innovation is an important topic in the study of most things in society, be that economics, business, entrepreneurship, design, technology, sociology or engineering. Innovation is, unfortunately, one of those words that you hear lots but is rarely practiced. I’ve attended many Conferences at the European Union, and within industry, on the topic of Innovation; and there seems to be a whole industry of people hell-bent on commentating on Innovation and policy making to foster it. But, these are not the true innovators. I hardly think a policy ‘wonk’ in Brussels is going to become the next Steve Jobs or Mark Zuckerberg. Once innovation occurs, innovations may be spread from the innovator to other individuals and groups. This life cycle of innovations can be described using the ‘s-curve’ or diffusion curve. The s-curve maps growth of revenue or productivity against time. In the early stage of a particular innovation, growth is relatively slow as the new product establishes itself. At some point customers begin to demand [it] and the product growth increases more rapidly. I think it would be fair to say that lots of little i’s make up one big I. It could be argued that innovation is one continuous journey rather than the final destination. Innovation is fluid, continuous and ever evolving. It’s a shame the big CAPITAL I seems to be the one that gets most column inches as there are innovative discoveries and successes happening on this planet on an almost daily basis. Do you think innovation is an overused term? I think it would be fair to say that it’s a term that is timeless but slightly jaded around the edges. There are a lot of so called ‘ambulance chasers’ who like to pontificate and tell the world they are innovative without really demonstrating or executing this. We like Innovation. It’s like a warm blanket on a cold night. We are proud of it and we like to tell the world how innovative we are. So what do we like to do? That’s right! We create awards. Here is a recent example of one from the www.d-media.co.uk network in the UK. We have become good at giving ourselves a good pat on the back for just about everything. There seem to be more award ceremonies, for just about everything, than there are Companies! How essential has innovation been in your career to date; and how important do you envisage it being going forward? I’ve leant towards creative industries and this has led me to come into contact with many entrepreneurs and creative minds that have built successful businesses from scratch, or created true measurable value for the Organisations they work for. In the organisational context, innovation may be linked to positive changes in efficiency, productivity, quality, competitive positioning, market share, etc. All of which can be affected positively by innovative forces. All organisations can innovate, including, for example, hospitals, universities and local governments. Some will flourish under its influence. Other will die. It’s survival of the fittest. In my digital world, the ‘King of the Jungle’ one minute can be obsolete the next. Take MySpace or Friends Re-United for example. They were top for a matter of months, then swept aside by the likes of Facebook and Google. And even they have reached saturation now in many mature markets. They need growth in developing countries to stay on target for their target of 1 billion users and their over justified and bloated valuations. On a wider level, car companies and manufacturing industries are making way for knowledge economies, knowledge clusters and an increasingly mobile workforce. The travel industry has been taken over by online offerings, disinter-mediation is ripping through more industries and supply chains than ever before. Going forward, I want to stay involved with working at the sharp end of Innovation, thus working in Mergers and Acquisitions with fast growing organizations. That way, I stay close to the capital markets and also get to court the Innovators and entrepreneurs, feeding my desire for knowledge and having a pulse on the future. As an extremely avid fan, Barry also stays close to Celtic FC. What do you think is imperative to allow ‘Capital I’ Innovation to occur? That is of course the million dollar conundrum. Innovation isn’t always welcome in practice, in my experience. I’ve spent/wasted years of my life delivering solutions that promise change and progress and, let me tell you, they’re not always welcome! Governments talk about creating innovation, Science & Technology parks and Innovation parks and, to their credit, most governments in the Western world have built these. They’ve created jobs and been responsible for breakthroughs in medicine, technology, life sciences and so on. The UK has clusters of Innovation Centres and Science Parks, and the European Union is one big Innovation hub, mostly because it sits on budgets of billions to throw at ‘so called’ Innovation projects. Innovation with a CAPITAL I without cash will never materialise – governments realise this. Expensive public sector modernisation projects, transport infrastructure, new schools and educational institutions need private enterprise and money to allow this. In the digital world, places like Silicon Valley play a crucial role in funding innovation, leading to new frameworks including user centric design, interoperability, co-operation, portfolio management and processes to shorten product development cycles. I was fortunate enough to spend some time in the Middle East working with the Qatar Foundation and other projects such as the Qatar Science Technology Park, Internet City in Dubai and AppsArabia in Abu Dhabi. They can attract the world’s brightest minds and talent as they can afford the money to prise the talent out of countries like the UK, Australia, USA and other western economies. Innovation tends to follow the talent and the capital, be that financial or human. Private and public sector partnerships are crucial as not everybody has 100 years of liquefied natural gas (LNG) or oil sitting under their shores. We need only to look at Ireland, Iceland, Portugal, Sudan, and Greece as examples of countries who do not have the manpower, innovation, cash or energy resources of the BRIC economies or a region like the Middle East. On the upside are the new business models, which predominantly aren’t reliant on huge cost bases – you can set up a business today for ‘$17 online and in only 5 minutes’ – you don’t have to have an office, a factory, or lots of staff. Of course it matters. Being born into the right country at the right time is tantamount to winning the lottery. That said, Innovation is universal. It’s being created, dreamt about and implemented in classrooms in China, the boardrooms of Brazil, universities in India and in R&D labs and Universities the world over. Innovation travels. It has a passport; it speaks many languages and knows no bounds. Like all journeys in life, it’s not always plain sailing for Innovation. There are barriers, obstacles and challenges, yet with the right network, funding, energy and drive, Innovation does eventually prevail. The internet has created a level playing field where SME’s and individuals can go toe to toe with large organisations. People have a direct line to brands, governments and people in authority. It’s power to the people, and the people holding the levers of power and control had better start listening. The recent overthrow of governments in the Middle East and Asia demonstrated this. In this ever connected world, there is no hiding place. A man not backwards in coming forward with his opinion, there is likely no hiding place from Barry Flaherty either. 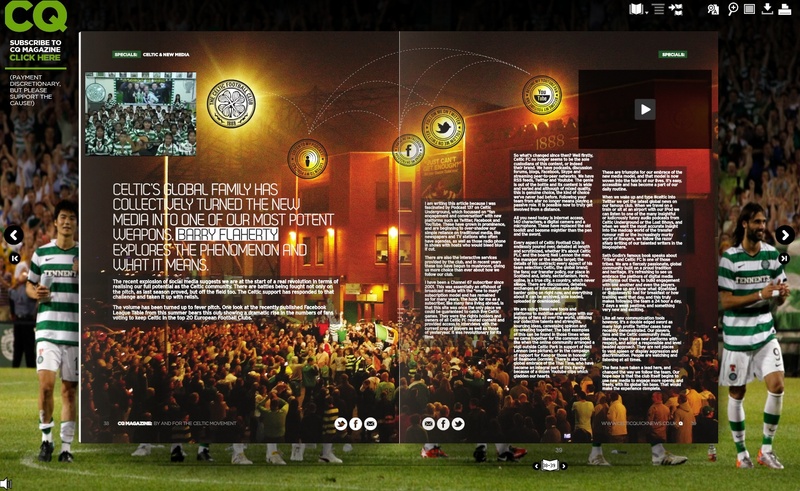 This entry was posted in 'Capital I' Innovation, Creativity, Digital Media, Innovation, Marketing, Technology and tagged Abhu Dhabi, AppsArabia, BRIC, Capital I innovation, Celtic FC, CQ Magazine, Digital Media, Dubai, IET Innovation Awards, innovation, internet City, Kerry Packer, Marketing, Mediaventura, Middle East, Qatar Science Technology Park, s-curve, Silicon Valley, startup, Stelios Haji-Ioannou, Technology, The Best Digital Marketing Campaign in the World, Understanding Digital Marketing, www.d-media.co.uk. Bookmark the permalink.